Here at Spark Hire, we want to help companies utilize the power of online video to find the best candidates. We get a lot of questions from readers about best practices for using online video in the hiring process. These posts will address those questions about how to find your next superstar employee. Thank you for your question, Jessica. 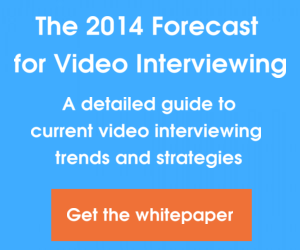 In fact, video interviews are great for Millennials and they are probably the ones most familiar with them. So how can you use video interviewing to specifically drive these millennials to your open positions? For starters, let’s talk a bit about millennials and what they look for in a job. A while back Spark Hire discussed an infographic that touched on the truth about millennials. What we know about millennials is that they like both competitive compensation and attractive company cultures. Furthermore, they like feedback and they like to know that their opinions or suggestions are being heard. You can try and attract these millennials to your company right off the bat by recording a company video. In the video you can talk about your company culture and show them how great it would be to work for a company such as yours. Company culture is a huge part of employee retention, so why not share that culture with millennials right from the start? To further attract highly sought-after millennials, suggest they record a video resume and submit it with their other application documents. Millennials will love that they have a chance to show off their personality and communication skills right from the get-go. If you like their video resume and ask them to record one-way video interview answers, they will appreciate that as well. They will like that they have the chance to show you their personality rather than just write about it in a cover letter or resume. You can also start using social media in your hiring. Social media has quickly become a tool used in the hiring process and you can start using it to attract talented millennials. Connect with millennials on social media, and through those various outlets suggest they use video interviews in their job search and with your company. What’s even better is that they can use their video resumes and attach them to their social media profiles. Most millennials will adopt any practice that puts their information out there to help them snag a job easily. As if these weren’t enough to reel in the most talented of millennials, you can let them know that with video interviewing they can use their mobile device to interact with you and your company. With a video interviewing platform like ours, job seekers can record video resumes as well as their answers to one-way video interviews all from their smart phone. It’s difficult to see a millennial these days without a smart phone- it’s second-nature to them. Millennials appreciate the fact that they can interact with you over their mobile device and will jump at an on-the-go job search like the one video interviewing provides. Do you have a question you need answered? 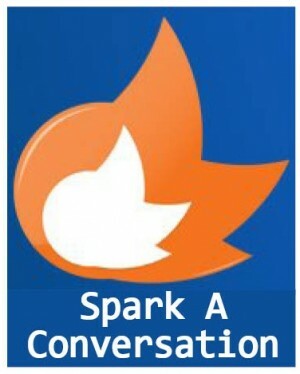 Spark a conversation with the Spark Hire team by submitting your question to blog(at)sparkhire.com or in the comments below. Hiring new employees is stressful. At least, it will be if you don’t really know what you want from a future employee. How Do I Video Interview… Candidates with a Work Portfolio?